If you had invested $10,000 in Berkshire Hathaway in 1965, it would have been worth $182.6 million at the end of 2014. 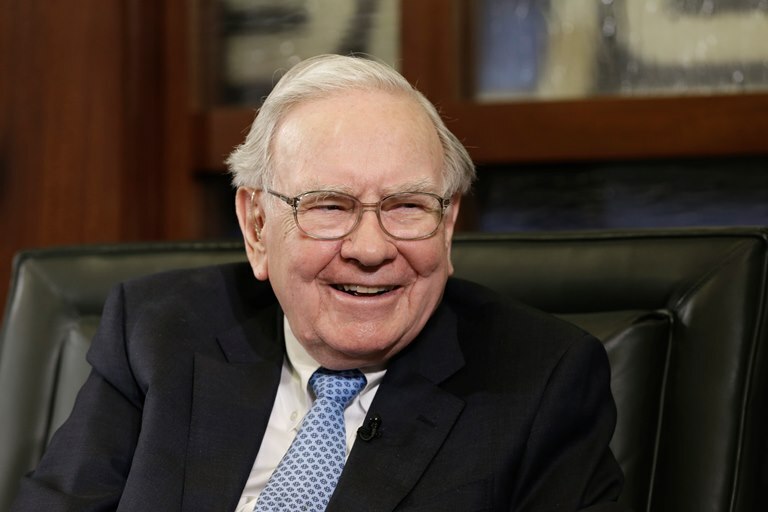 (Bloomberg Business) — More than 40,000 people are expected Saturday at the Berkshire Hathaway annual meeting, which marks Warren Buffett’s 50th year of running his company like a locomotive. The 200,000-square-foot exhibit hall at the CenturyLink Center will be packed with kiosks touting products and services from Berkshire-owned companies, from commemorative- edition ketchup bottles to manufactured homes. But you don’t have to go to Omaha to see what Berkshire does. As your day planner shows, Buffett’s stuff is already a big part of your life. It’s kind of creepy. Berkshire utility companies serve 11 states, including Iowa, Nevada, Oregon and Utah. Their power reaches about 8.4 million customers, from homes to food carts to ski resorts. “No utility company stretches further,” Buffett wrote in the 2014 annual report. He noted that Berkshire Hathaway Energy companies provide 6 percent of U.S. wind generation capacity and 7 percent of solar generation capacity, and deliver 8 percent of the national gas consumption in the U.S. through its two pipelines. Berkshire owns 89.9 percent of the business. The car insurance: Geico insures more than 22 million vehicles and has more than 13 million auto policies in force in the U.S., where it is the second-largest private passenger auto insurer. It’s also the only property/casualty insurer that spends more than $1 billion annually on advertising, according to SNL Financial. The Geico gecko’s Q Score, a measure of how well consumers bond with public figures, is higher than that of Buffett himself, whose recognition rate is 43 percent; the gecko’s is 93 percent. Berkshire owns all of Geico. The real estate firm: HomeServices of America is the second-largest residential real estate company in the U.S., with more than 20 brands in 20 states. Services include mortgage origination, title and closing services, property and casualty insurance, and home warranties. HomeServices is part of Berkshire Hathaway Energy. A related business, Berkshire Hathaway HomeServices, operates a franchise of real estate agents. The paint: Benjamin Moore & Co. sells its paints through more than 4,000 independent retailers in the U.S. Right now, it’s in the midst of its “most robust and ambitious” ad campaign ever, according to the company. (There is, of course, a Buffett Green.) Berkshire owns all of it. The carpets: Shaw Industries Group is the largest maker of tufted broadloom carpet in the world. It sells all kinds of residential and commercial flooring throughout the 50 states, from hardwood to sports turf used in school and college fields, from Washington, D.C, to Montana. “Chances are extremely high that when walking in your home, going to your daily job, visiting your child’s school, attending a community function, going for a medical procedure,” (OK, we’re getting it) “shopping in a retail establishment, traveling through an airport, spending a night in a hotel, or enjoying a dinner out, that you are walking on a Shaw floor,” the company’s director of corporate communications, Susan Farris, noted. Berkshire owns all of it. The supplier: Trucks owned by McLane Company, a wholesale distributor, deliver more than 35,000 products to more than 50,000 retailers, convenience stores, and restaurants, according to the company. It is the world’s largest supplier to convenience stores. Big customers include Yum! Brands, 7-Eleven, and Wal-Mart. Buffett bought McLane from Wal-Mart in 2003. The supplies that go into the supplies: BNSF Railway ships many of the ingredients that go into those barbecue supplies. The Berkshire annual report notes that the railway moves “more ton-miles of goods than anyone else, establishing BNSF as the most important artery in our economy’s circulatory system.” That’s 600 million tons of freight a year, and track that covers 32,500 miles across 28 states. It may or may not include the charcoal for the barbecue, but it does move low-sulfur coal that BNSF’s website says is used to generate more than 10 percent of the electricity in the U.S. Berkshire owns all of BNSF. The dealership: Berkshire’s purchase of Van Tuyl Automotive closed in March. Buffett got a group of 78 automotive dealerships that the company says is the fifth-largest automotive group in the country. The checkup: The additives made by Lubrizol are in engine oils, driveline and other transportation-related fluids, and industrial lubricants, according to its website, as well as in additives for gasoline and diesel fuel. That’s not all. As Lubrizol notes on the site: “It might surprise you that our products and technologies are in things you use every day—quite likely on surfaces and in fluids in the vehicles you drive, in the shampoos and soaps you use, in a medicine you take, in the clothes you wear and in electronic devices and plumbing systems in your home.” It might. But it doesn’t. Berkshire owns all of Lubrizol. The couch: Buffett owns tons of furniture companies. Perhaps his best-known one, Nebraska Furniture Mart, has opened what it says is the largest furniture store in the U.S., at 560,000 square feet, on a 433-acre site in Dallas. Buffett has noted that Nebraska Furniture Mart owns the two highest-volume home furnishings stores in the U.S., in Omaha and Kansas City. Berkshire owns the bulk of Nebraska Furniture Mart. The binge: Stay with us here. To turn on that TV, you’re going to need a remote — a remote using Duracell batteries, quite likely. Berkshire is buying Duracell from Procter & Gamble. Duracell ‘s share of the global battery market tops 25 percent, according to P&G. An investment in Berkshire Hathaway is really an investment in yourself. Or: If you had invested $10,000 in Berkshire Hathaway in 1965, it would have been worth $182.6 million at the end of last year.